Transformers: Rise of the Dark Spark was delisted on Steam, PlayStation 3, and PlayStation 4 on December 21st, 2017. The game was on sale on Xbox 360 and Xbox One and remained available digitally through December 31st. The Wii U version is listed as available on Nintendo.com’s website but leads to an error page when trying to purchase. This version was presumably also delisted by December 31st, 2017. Like many previous licensed Activision franchises Transformers: Rise of the Dark Spark was delisted at the end of the year in which the license expired alongside several other titles in the Transformers series. See the linked pages to the right for more. 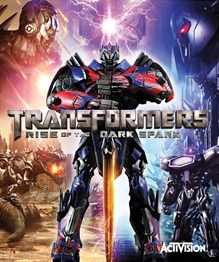 Transformers: Rise of the Dark Spark remains available on physical media for all platforms it was released on except for Steam.